Urbi means "Princess" in Egyptian. 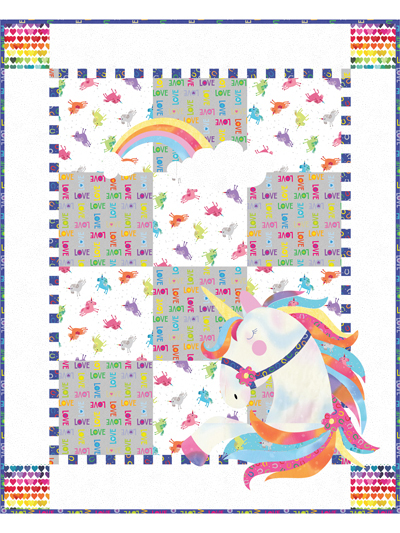 Urbi Unicorn is an adorable quilt perfect for Baby, and dimensional ears add a fun element. This quilt is a must-have for any baby. 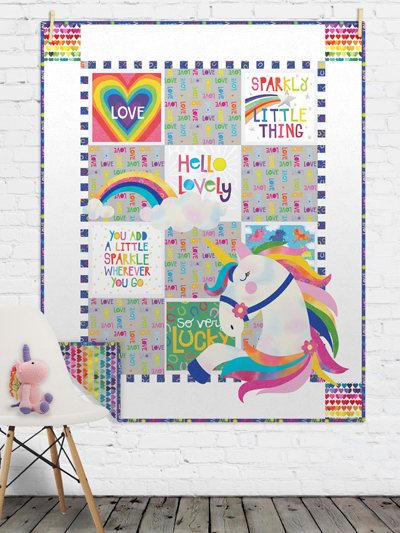 The easy to piece and applique quilt pattern includes instructions and templates. Finished size: 42" x 52". Design by Deb Grogan of The Quilt Factory.